Three BoNEs | TFI Envision, Inc. The American Institute of Graphic Arts (AIGA) Boston Chapter recently announced the results of their 2001 Annual BoNE Show (Best of New England) and Tom Fowler, Inc. was among the winners. 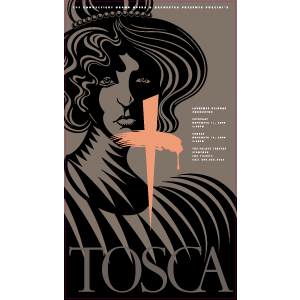 Three posters created for the Connecticut Grand Opera & Orchestra by Tom Fowler, Inc. received Awards. The posters were Lucia Di Lammermoor, Rigoletto and Tosca.